Why no shampoo? Curly hair tends to be more porous than straight hair, which makes rinsing out all traces of shampoo virtually impossible and causing frizz. Many conditioners also contain mild surfactants which, paired with a little manual friction, can lift off dirt, debris and excess oil from our scalp and hair. To make a shampoo free routine work, you should eliminate the use of most silicones (‘cones for short) from your hair care routine since most can only be removed with harsh shampoos. Washing with a conditioner while using them would cause them to quickly build up on the hair, which results in dull, matted hair and poor curl definition. Emollients soften, smooth the hair and give it shine. There are hundreds of them, including such natural emollients as vegetable oils and nut butters. Widely used emollients include glycerides and liposomes. Proteins temporarily “repair” the hair and/or protect it. Occasionally proteins will build up on some people’s hair, especially on healthier hair. In this case, alternate with a protein-free conditioner. Examples of proteins include silk, soy, wheat, keratin or individual amino acids (components of proteins). Humectants absorb water and hold in moisture. They are absolutely crucial in a conditioner for curly hair. Panthenol, vegetable glycerin, sorbitol and honey are just a few humectants to look for on the label. 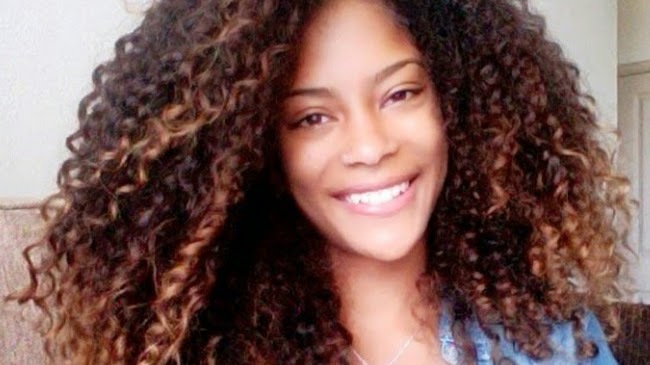 Moisturizers soften and control to curly hair. Amino acids and aloe vera are two great moisturizers. AFTER wetting your hair thoroughly, pour a dime-sized amount of conditioner in your hand. Use the pads of your fingertips, apply to one spot of your scalp and massage well, just as you would with shampoo. REPEAT until you've scrubbed all over. RINSE all the conditioner off with plenty of warm water, still gently massaging with your fingertips so the friction will dissolve any residue. POUR more conditioner into your hand, rub your palms together and apply over the length as you normally did in the past. DETANGLE with your fingers or a very wide-toothed comb. FOR extra moisturizing, clip your hair up and continue with your shower. When you're done, set the water as cool as is comfortable to you, rinse for just a second or two, and gently squeeze the excess water off. CHOOSE a silicone-free gel, and one that's clear, to allow the natural shine to come through. DON'T ever brush your hair. DETANGLE when your hair is soaking wet. Use a wide-tooth comb, or just your fingers. NEVER rub your hair with a towel. Instead, gently blot the water using scrunching motions. GENTLY apply product, preferably by scrunching. AIR dry your hair or diffuse partially to avoid frizz. DON'T touch your hair while it's drying. Sometimes residue from gels and oils may not rinse off with water and conditioner and result in a little buildup. You might notice right away that your hair feels "gunky," but other times, your hair just stops responding to the routine. It may begin to tangle easily or curls loose definition and shine. Washing with a clarifying shampoo will refresh them and usually bring the bounce back. Does the CG Method work for your hair? Leave your comments below!